Destiny 2 is a sequel to the best-selling FPS developed by Bungie Software. This time, Bungie is aided in the development process by Vicarious Visions, creators of Skylanders and some other games. 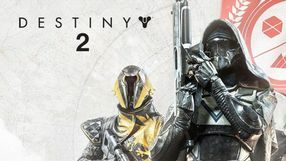 Destiny 2 introduces many new changes and improvements, not only concerning the story (this time, the story will play a bigger part than in the first game), but also in the gameplay mechanics. In Destiny 2, we will visit completely new, enormous locations (i.e. Saturn alone will be bigger than the entire first game), finding new, vibrant metropolises. In the wilderness, we will find both enemies and enemy checkpoints that are just waiting to be taken over by us. Planets known from the first Destiny will also be present in the sequel, but will be added on a later date. Due to the new technology used by Destiny 2, it won't be possible to import our characters from the original game. Transferring any sort of content from the first Destiny will probably turn out to be problematic. A complete edition of the science-fiction first-person shooter with MMO and RPG features. The title was developed by the creators of the Halo series, Bungie Software. 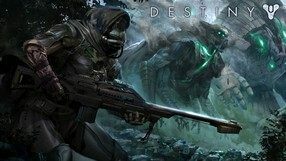 Destiny: The Collection contains the basic version of the game that was released in September 2014 and four large DLC expansions: The Dark Below, House of Wolves, The Taken King and Rise of Iron. The story of the game focuses on the remains of humanity competing against an aggressive alien race which destroyed almost all life in the Solar System. The game can be completed alone, by completing the missions of the story campaign, but Destiny reveals its true potential in its multiplayer mode. It offers several varied game modes, including classic deathmatch (individual and team variants) and Strike and Supremacy missions. The collection contains an interesting bonus that allows the player to immediately advance their character to level 40. A futuristic, first-person perspective action game developed by Bungie Software – the creators of the iconic Halo series. The title takes place in a distant future, in 28th century, when humanity is on the brink of destruction at the hands of an alien civilization. The players assume the roles of Guardians who, thanks to the unusual abilities drawing power from an alien ship hanging above the Earth, are the only humans capable of facing the destructive force from space. Players are divided into three classes which specialize in open combat, stealth, or special powers. Gameplay is focused on multiplayer, encouraging the players to explore the world. Battles involve small groups of participants; it is possible to start the game alone and join a previously created group. The game was created for next-gen consoles and which translates into high-quality graphics and sounds.